This promotional website is designed to give information about the services offered by the client and to encourage people to contact them. 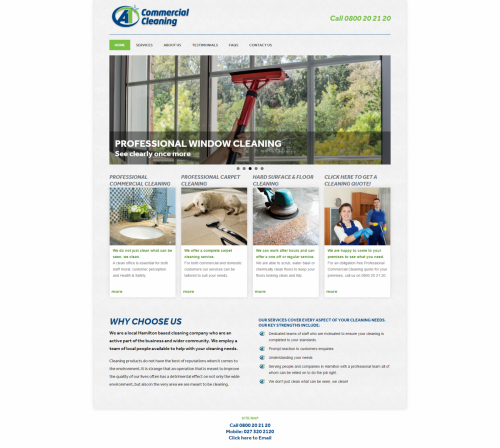 A1 Commercial Cleaning in Hamilton offer a wide range of services tailored to fit their clients' requirements. They also use cleaning products that are safe for people and the environment.